In public debate, children’s and young people’s media cultures are often addressed through a binary perspective of hopes and fears. On the one hand, children’s and young people’s digital media competences are celebrated, while on the other hand we witness many concerns about changes in children’s and young people’s everyday lives due to digital media. 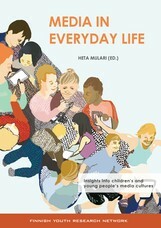 This selection of articles examines the media cultures of children and young people and their mediatised daily lives. The texts are based on a collection of articles published in Finnish in 2016 called Solmukohtia: Näkökulmia lasten mediakulttuurien tutkimusmenetelmiin ja mediakasvatukseen [Turning points: Perspectives on methodologies of researching children’s media cultures and on media education, ed. Heta Mulari] and on an Opinion essay (2017) on the mediatised leisure time of children and young people written by Jani Merikivi, Heta Mulari and Fanny Vilmilä. 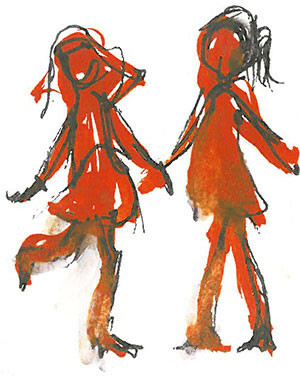 The texts have a shared methodological perspective, and ask: How are media images and devices woven into children’s and young people’s everyday lives? What types of questions and methods can be used to approach the theme in a research-based way, together with children and young people? What types of power relations are unavoidable? Multi-method research designs that aim at children’s and young people’s experiential knowledge and participation have an important place in research of the rapidly changing world of media. In public debate, children’s and young people’s media cultures are often addressed through a binary perspective of hopes and fears. On the one hand, their digital media competences are celebrated, while on the other hand we witness concerns over media-related changes in children’s and young people’s everyday lives. This selection of articles examines the media cultures of children and young people. How are media images, devices and uses woven into children’s and young people’s everyday lives? What types of questions and methods can be used to approach the theme in a research-based way, together with children and young people?